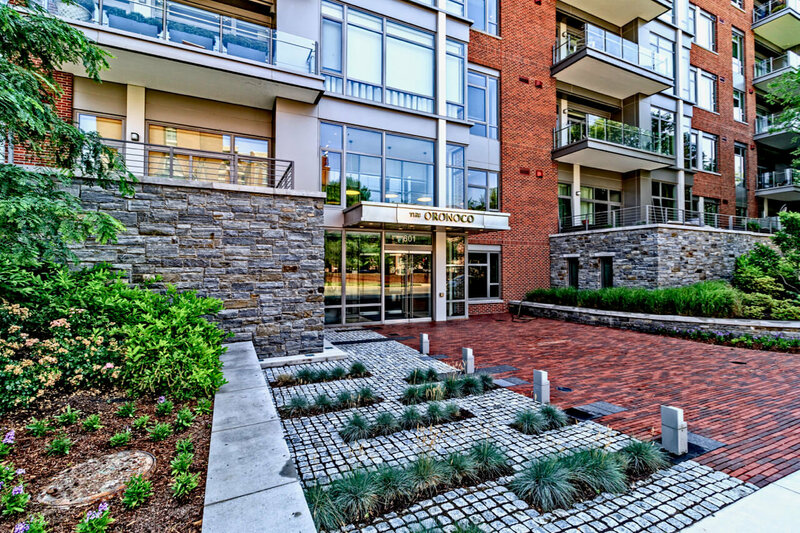 Located just steps from the Potomac River in Old Town Alexandria is an incredibly luxurious and modernist condominium complex—The Oronoco. 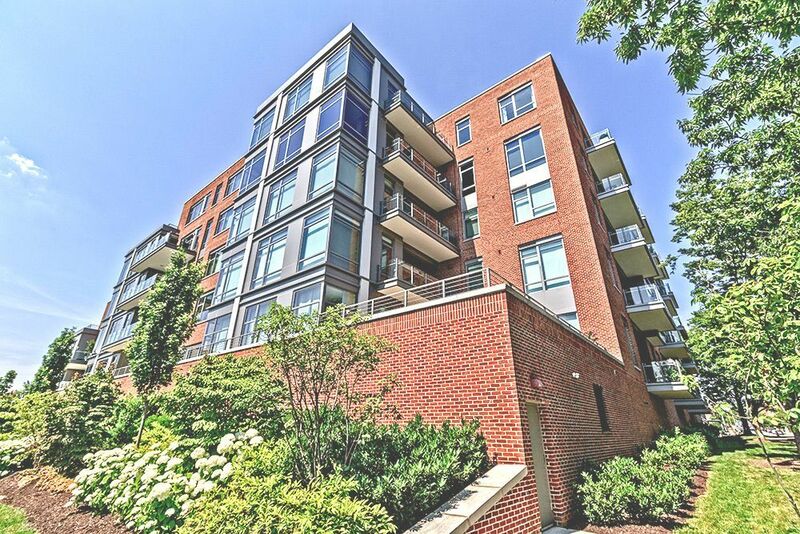 Also sometimes referred to as The Flats at Oronoco, this 60-unit structure has a completely unique look with sections of the complex terracing down from six stories to one, allowing a maximum number of unobstructed views of the river. This stunning adaptive reuse project began with the former Sheet Metal Worker’s Pension Fund office building which was completely stripped to its structural essence and reconstructed. Developed by EYA and designed by Shalom Baranes Associates, the U-shaped edifice is unlike anything else in the area. The Oronoco was delivered in 2014 and isn’t a place for cost-conscious real estate shoppers. Prices start around $1.6 million and climb to about $4.5 million. You’ll get plenty of space for your money, however—floor plans range from 1,600 to 3,500 square feet. Plus, there are plenty of other perks and amenities for this transformational project that blends the best of Washington Metro waterfront properties with luxury condo allure—all in an urban setting.Residents enjoy upscale contemporary living with 10-foot ceilings, five-inch wide-plank hardwood floors, giant window walls and see-through fireplaces. But it doesn’t stop there. The open-space layouts feature either two or three bedrooms plus family room, den and opulent Waterworks baths. The incredibly modern Euro-style kitchens are built into one long wall, leaving plenty of open space on the other sides. These are showcase social spaces as well as cooking stations, with quartz counters, elongated dining bars, pendant lighting and chef’s grade Wolf, Sub-Zero and Bosch appliances. But there’s more than just the palatial digs inside. Those who can afford to live in one of these amazing flats will also get a private outdoor space, be it balcony, terrace or massive roof deck. Also, the cascading nature of the six different levels allows for a lot more roof decks than any normal building. All units come with at least two private garage parking spaces.The shared amenities are also pretty outrageous, with a giant two-story lobby, front desk, concierge service and 24/7 security. 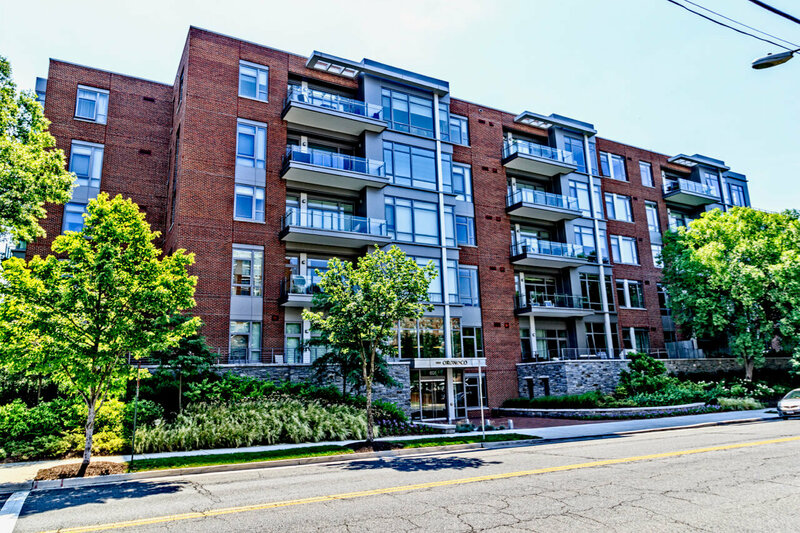 There’s also a heated pool, a clubhouse, yoga studio, fitness center, outdoor kitchen, meeting rooms, kids play room and a dog-washing station for your furry friends (yup, it’s a pet-friendly condominium). The Oronoco is at 601 Fairfax Street North and 119 Oronoco Street in Old Town North. Residents have only to stroll across a narrow stretch of Oronoco Bay Park’s manicured grass to get to the river. A quaint walking path leads to floating wooden docks, and places like the Torpedo Factory Art Center and the colorful A La Lucia neighborhood trattoria. Trader Joe’s and Harris Teeter are also ridiculously close by! All-in-all, this is a pretty sweet place to live.